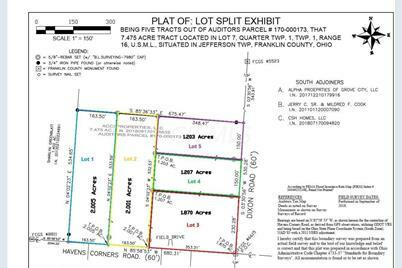 Great Building Site in Jefferson Township-Gas, Electric, Water and Sewer are available-Lot splits are completed and this is one of 2 lots that is still available (3 other lots in the split sold quickly on Dixon Road)-Build your dream home - Lot size would allow you to have a outbuilding of approximately 2140 sq. 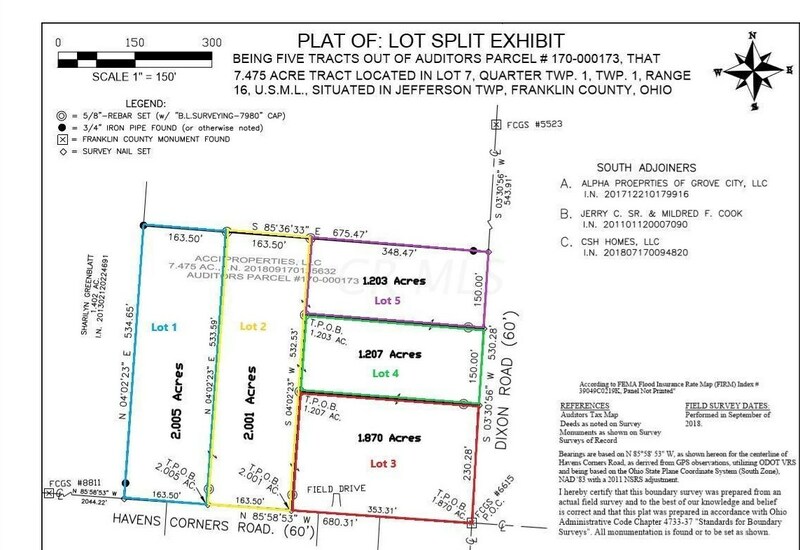 feet +or- on the property per Jefferson Twp. Great location and Gahanna Schools. 0 Havens Corners Rd Road #Lot 1, Blacklick, OH 43004 (MLS# 218044299) is a Land Residential property with a lot size of 2 acres. 0 Havens Corners Rd Road #Lot 1 is currently listed for $178,000 and was received on December 10, 2018. 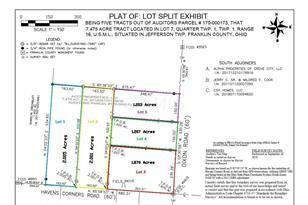 Want to learn more about 0 Havens Corners Rd Road #Lot 1? Do you have questions about finding other Land Residential real estate for sale in Blacklick? You can browse all Blacklick real estate or contact a Coldwell Banker agent to request more information.